League action finally returns at the end of this week, as Mainz 05 is set to play host to Borussia Dortmund in German Bundesliga action. At this point, all of the teams in the German Bundesliga not named Bayern Munich are fighting for second place. Bayern Munich has a perfect 8-0-0 record through the first eight games of the season and have only allowed 4 goals, so it seems silly to think that anybody will be able to catch them. Borussia Dortmund, on the other hand, currently has a record of 5-2-1, which is good for second place in the league. Borussia Dortmund finds themselves in a pack of teams that includes the likes of Schalke 04, Hertha BSC and Ingolstadt. Mainz 05, on the other hand, currently sits in 8th place in the table with a record of 4-0-4, which is good for 12 points. According to these odds, a single $100 bet on Borussia Dortmund would yield a potential profit of $50, while a $100 wager on Mainz 05 would yield $550 if they managed to pull off the upset. Borussia Dortmund has found the net early and often so far this season, as they have scored 22 goals in 8 goals, while allowing just 11. This is the second best goal differential in the league. 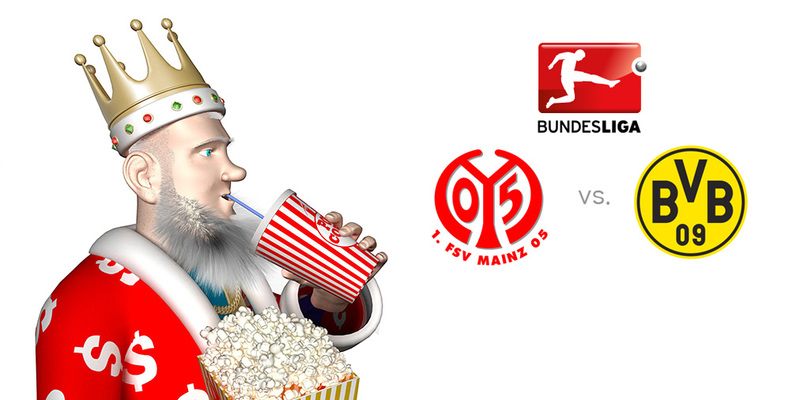 Mainz 05, on the other hand, has scored 12 goals while allowing 11. Mainz 05 is likely going to have a hard time penetrating the Borussia Dortmund defense on Friday. If Borussia Dortmund wants to have any chance of catching Bayern Munich this season, they will have to pick up as many points as possible against opponents like Mainz 05, which is why a win for them on Friday evening is crucial.